In a perfect world, you’d never have to think about your router. It would just sit somewhere in a corner and make sure that your favorite YouTube videos find their way to your laptop. But in reality, you often have to reset your router when your connections start dropping and woe to you if you ever have to actually change any settings. 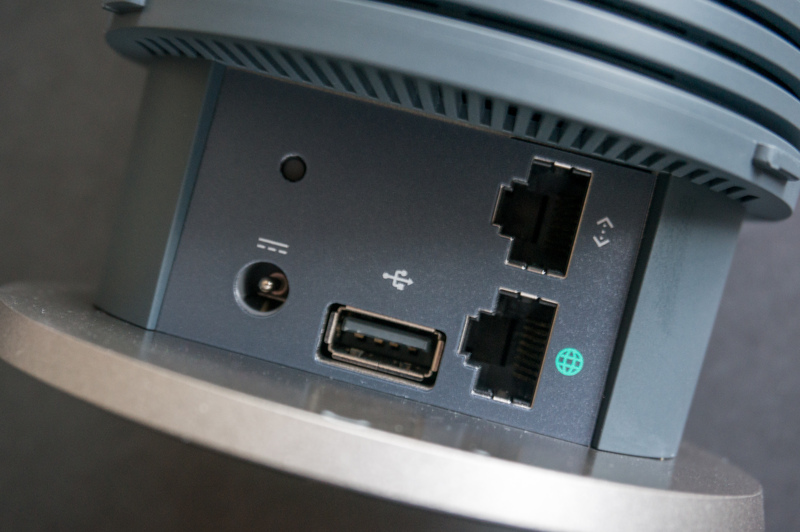 Despite their ubiquity, most routers still have dismal user interfaces. Enter Google . With the $200 OnHub router, Google wants to fix everything that’s wrong with modern routers — and for the most part, it does. After a few days with the router in my apartment, I have to admit that I don’t want to go back to my old setup of using my old Verizon-supplied Actiontec router. OnHub’s Wi-Fi coverage and user experience is simply superior to any other router I’ve tried. So what makes OnHub special? Google partnered with TP-Link to basically build a reference model for what it believes a modern router should be and put it into a pretty cylindrical package that’s meant to clearly show that it’s not just another boring Netgear box. It’s powered by what’s essentially a small computer and it’s using all of that brainpower (and more antennas than your typical router) to ensure that your data flows on whatever channels work best for you. Because OnHub focuses so much on finding the best Wi-Fi connection for you, it’ll likely give you a far better connection than your standard router, especially if you live in an area where there are lots of active Wi-Fi networks. If all you want is a working Wi-Fi network at home, OnHub will give you that and plenty more. My Macbook Air currently picks up about 25 networks and as that number has gone up, so have my networking issues — especially at night when everybody is on their tablets, laptops and Apple TVs. That meant Netflix videos would often buffer or come to a complete halt, for example. Once I switched to OnHub, the overall network throughput went up, videos started faster and I haven’t seen a buffering issue since. Your mileage may vary, of course, but for me at least, the OnHub has worked wonders for the Wi-Fi connectivity in my place. OnHub isn’t just about the hardware, though. To set up the router and manage it, you install an app on your phone (Android or iOS), and after the phone and router have shaken hands (over audio, no less), you pick your network’s name and password and you’re ready to go. The OnHub features an LED ring that’s somewhat reminiscent of the failed Nexus Q project to give you a visual cue about its status. That’s a static light, though. There are no blinking lights on the OnHub. 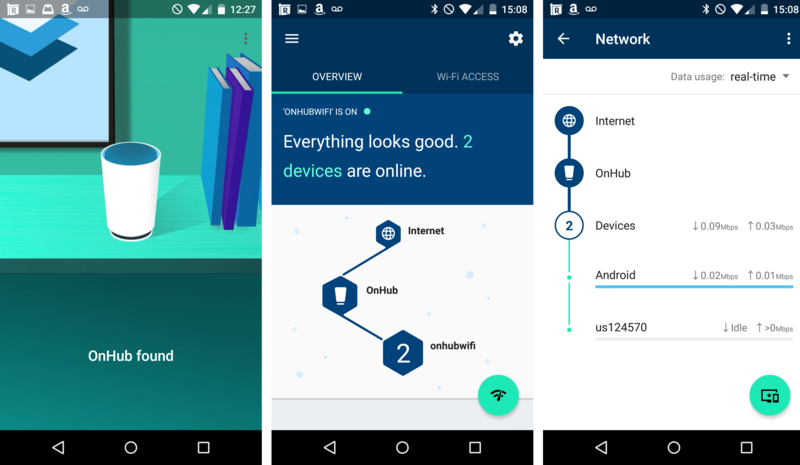 Using the mobile app, you can share your Wi-Fi password with others, give priority network access to some devices (maybe your Xbox when you are starting a gaming session, for example), track your bandwidth usage, and manage all the other basic router features. Compared to a standard router, these options are somewhat limited, but that’s exactly the point of OnHub. You still get access to basic DNS and WAN settings, as well as port forwarding and Universal Plug-and-Play settings, but that’s about it. Nobody loves managing a home Wi-Fi network, but OnHub makes it about as easy as could be. You lose a bit of flexibility in the process, but the vast majority of users couldn’t care less. 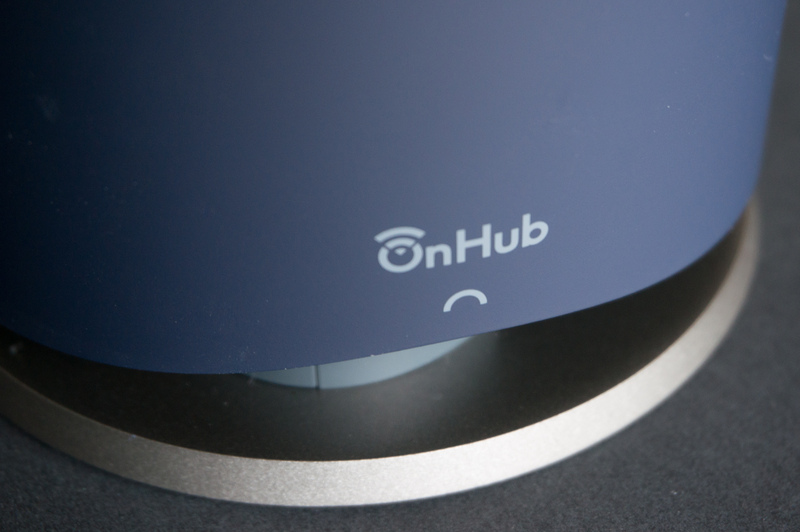 If all you want is a working Wi-Fi network at home, OnHub will give you that and plenty more. If you’re having Wi-Fi issues at home, then OnHub is worth a try. You do give up a bit more than just a few configuration options with OnHub, though. The router only features a single Ethernet port. For the most part, this is a completely Wi-Fi centric device. If you only have a single desktop, that’s no big deal (though chances are you desktop doesn’t stand in your living room). But if you have a couple of non-Wi-Fi devices at home, chances are the OnHub isn’t for you. Google is working with other partners to build similar routers, so maybe the next one will have more physical ports. OnHub is unapologetically about the future. In that respect, it’s not that different from Google’s earliest Chromebooks, for example. It’s about wireless connections — not physical ones. And maybe it’s a bit of a Trojan horse, too, because there are plenty of hints that OnHub is more than a Wi-Fi router. 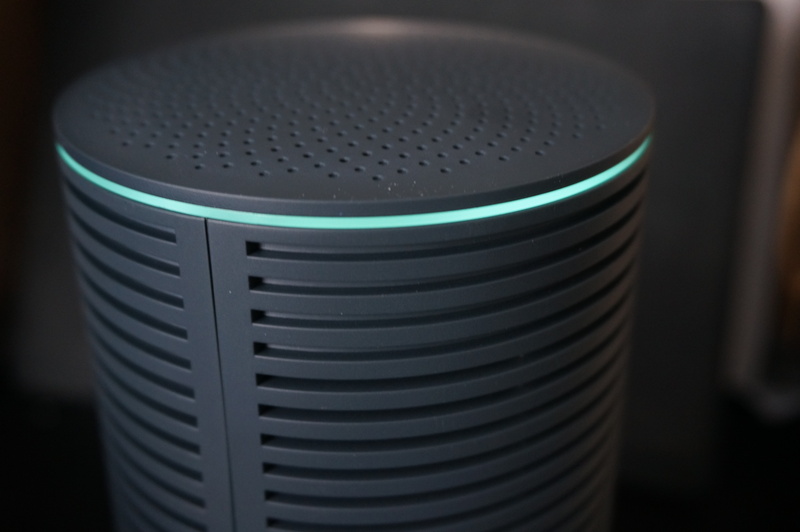 OnHub will soon support Weave, for example, Google’s new Internet of Things protocol. Once that’s activated, the OnHub router will become a bit more than “just” a great router — it’ll become the central hub for Google’s smart home initiative. That can only work if a router can cover a full house, so Google not only improved the router’s network reach, but it also made it attractive enough to sit on a shelf in your living room (that’s just not really where your network cables typically reach, but that’s a different question). What exactly that “Google On” future will look like remains to be seen. It’s not even clear what “Google On” really stands for. Today, the question is whether it’s worth buying this $200 router — because for now, that’s all the OnHub is. If you’re having Wi-Fi issues at home because the airwaves are too congested or your current router doesn’t quite have the reach to cover all of your home, then OnHub is worth a try. If you don’t and you have a stable connection already, then there’s no real reason to switch and you’re probably better off waiting. I, for one, am not going back to my old router.